I want to write a quick post on why I teach. Not just why I teach, but why I enjoy teaching at a small liberal arts university (at least as liberal as it can be in NW Oklahoma, which isn’t very ;-)). 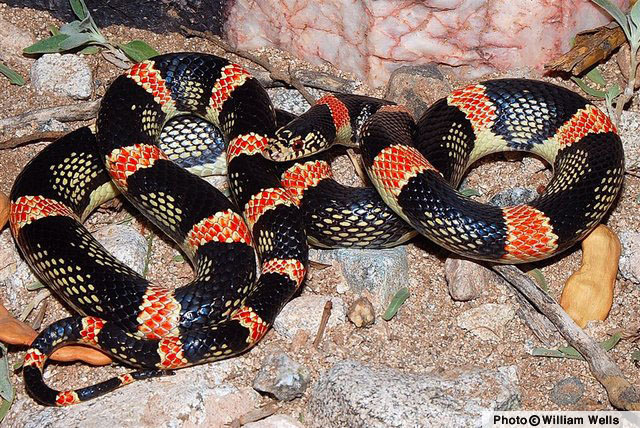 Now, Long-nosed snakes look somewhat like coral snakes in that they are black, red, and yellow banded. The weird thing is that there are no coral snakes in Northwestern Oklahoma, so we wondered if the banding pattern afforded the snakes any protection from potential avian predators since many birds migrate to tropical habitats in the winter that are home to venomous tri-colored coral snakes. To test the hypothesis, we created 400 clay models of tri-colored brown snakes and placed them around east central Woods County. If birds pecked or grabbed the models they would leave behind tell-tale marks in the clay. We later discovered that mammal teeth marks are also preserved in the clay. The student worked all summer fashioning models, placing them in the field, collecting them and looking them over for evidence of depredation. She learned field work is not always glamorous, especially when it’s 98 degrees and your clay models are melting. Preliminary analysis showed the colored models were avoided by birds, but we were not sure if they were avoided because of the warning coloration, or because the banded pattern served as a disruptive pattern on the grass background. To find out the student created 100 more models and laid them out on white backgrounds so that they banding was not disruptive on the grass background. This would tell us if was avoidance or camouflage. Unfortunately, this stage of the project was thwarted by a plague of locusts that literally ate most of the clay models. Who knew locusts ate clay! Undaunted the student wrote up a paper detailing the project. I tightened it up a bit and made some suggestions and it looked to be a decent little paper on the protective coloration of R. lecontei. I asked her if she wanted to submit it as a short paper to a peer-reviewed journal. She agreed and formatted the paper herself according to the journals Guide to Authors. We submitted the paper together last week and waiting with crossed fingers to hear back from the editors. Long-nosed snakes resemble venomous coral snakes. I know this is getting to be a long post, but for those of you not in science, this is a pretty big deal for an undergraduate to submit a paper for publication. Personally, I am proud of the experience I was able to provide this student. She “did science” from start to finish. She assisted in writing the grant, collected the data, assisted in data analysis, wrote parts of the manuscript, and submitted the paper. She presented the results of the research at our campus research day and won second place (the student who won did her research at one of the state’s R1 schools). Things don’t always go your way, but if you give it your best shot and keep your eye on the prize, Nothing can stop you. Not R1 universities nor swarms of locusts.